One of the big challenges of licensing patents is always the potential threat of litigation. That’s why one of the most important steps in licensing patents is reviewing the patent document to make sure its not infringing on other patents. 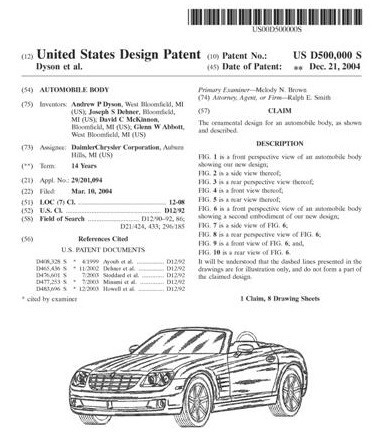 The first part (front page) is a “Summary” detailing when the patent was filed, who the inventor is, and what the patent is (an abstract with a drawing). The third part is known as the “Claims”. These are THE most important part of a patent. They state the reasons the patent is new (unique or novel), and they are listed from broadest independent claims to the dependent claims (these reference back to an earlier claim). (ones that refer back to earlier claims). The forth part is the “Drawings. These are illustrations of the invention,detailing the product or technology features. The last part is the “Search” report which is provided by the patent office. It contains a list of patents, books, journal articles, conference proceedings, and so on, that have some relationship to the invention. Here’s a research tip: These reports can contain a lot of good information about the patent, market, competitive products and more. Researching a patent can be a time consuming task (not to mention they can be very technical). Here’s a quick shortcut. Start with the independent claims. Because these are the most important parts of the patent, you’ll get a quick sense of how strong the patent is and if it’s worth doing more research.